Come out to our exciting day camps this year, and experience a week of adventure. 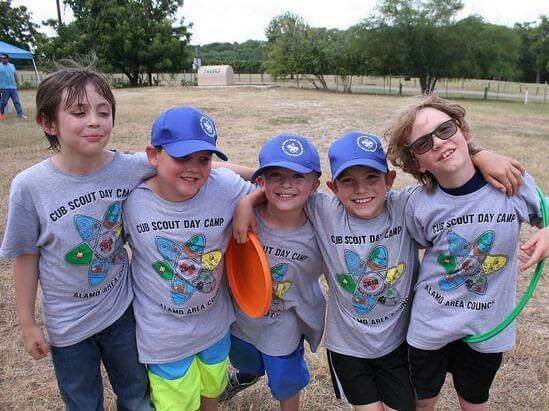 The Boy Scouts of America, Alamo Area Council offers six weeks of day camp adventure at six different locations starting on June 10th through July 26th. Most of our Day Camps are held at McGimsey Scout Park, a beautiful 140 acre camp centrally located in Castle Hills at the corner of Lockhill Selma and NW Military Hwy. Accept the challenge and join the fun at this years Game of Cubs. These week-long camps occur throughout the summer, and are open to Cub Scouts aged Tiger-Webelos. For help with Day Camp event registration, please contact the Outdoor Adventure team by email at DayCamp@AlamoAreaBSA.org. Or contact Linda, Amanda, or Itza by phone at 210-341-8611.